Are you looking for new jewelry to refresh your spring wardrobe? 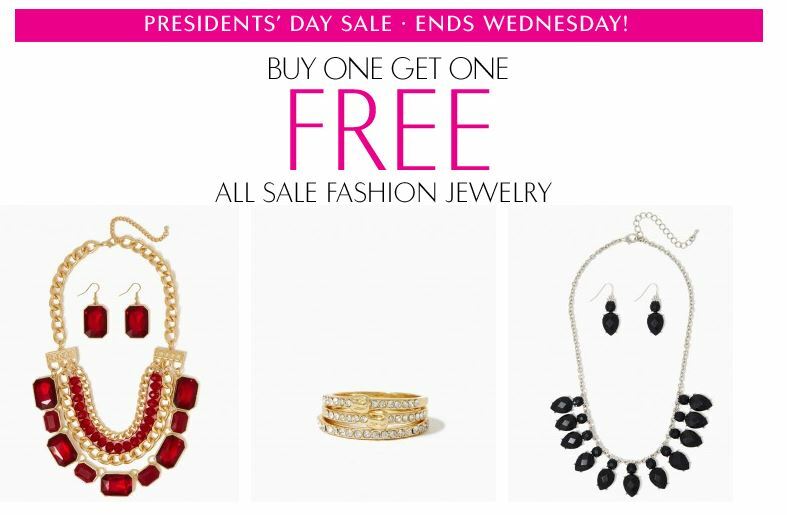 Through Wednesday, Charming Charlie is offering a Buy One Get One FREE Sale on their Fashion Jewelry. Simply add your items into cart and the discount will be applied automatically. I spotted so many beautiful necklaces, rings, bracelets and even watches for sale. They also have over 200 items included in the sale for under $10! What a fantastic way to look great without spending a lot of money. Make sure you sign up with Giving Assistant so you can have access to exclusive coupons and offers for your shopping. Sign up HERE for coupon offers to Charming Charlie!!! !